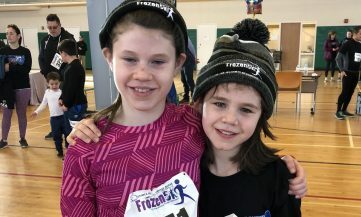 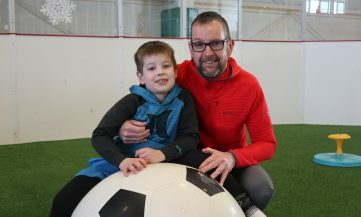 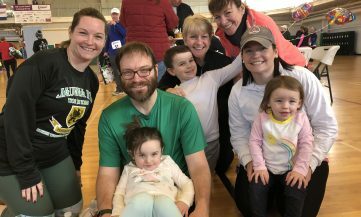 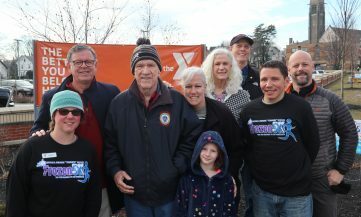 On Sunday, January 6, the Briggs Family Field House inside the South Shore YMCA’s Quincy Branch was bursting with activity as friends, family and supporters of the Y celebrated the branch’s 5-year anniversary with the George “Trigger” Burke Frozen 5K and an open-house party honoring the occasion. 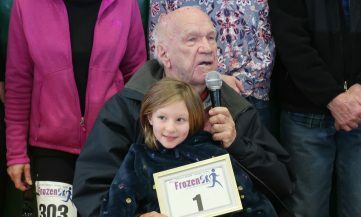 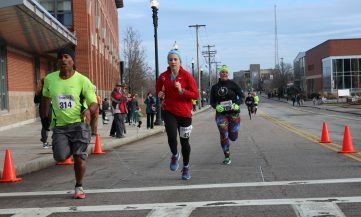 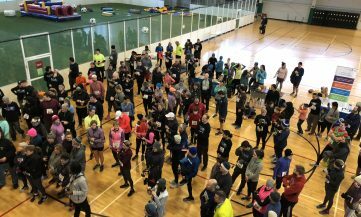 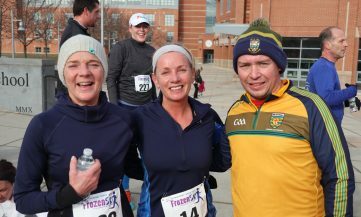 During the 8th annual George “Trigger” Burke Frozen 5K, nearly 375 runners kicked off their new year with the 3.1-mile race, beginning and ending just outside of the South Shore YMCA on Coddington Street. 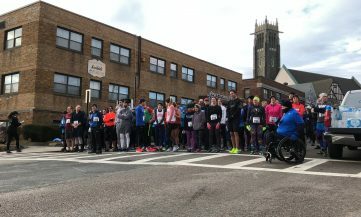 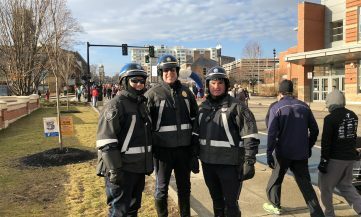 As the runners sprinted through the course, they were cheered on by the local Quincy Police Department and other spectators encouraging them along the way. 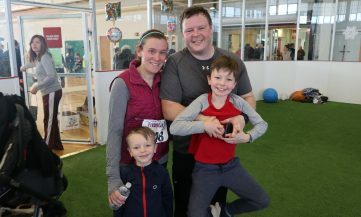 As they neared the finish line, runners could feel good both inside and out, knowing that the weather was a “warm” 44 degrees on race day, and that a portion of their race entry fees would be donated to the South Shore YMCA’s Annual Campaign which provides financial support so that those in our communities who need it most can take advantage of opportunities in youth development, healthy living and social responsibility. 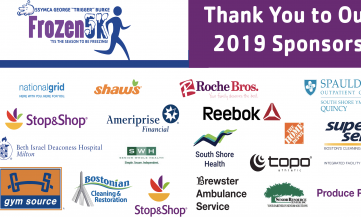 In addition to race fees in support of the SSYMCA’s Annual Campaign, special thanks also goes out to the many local businesses and organizations who sponsored the race as well. 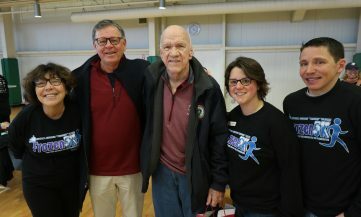 After the race, runners and community members alike were all invited inside to warm up and celebrate the past and future of the new Quincy branch together. 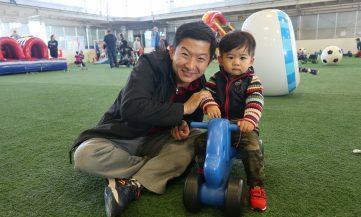 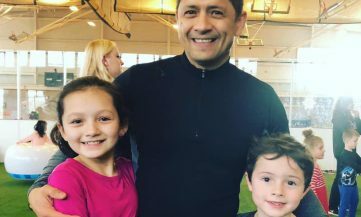 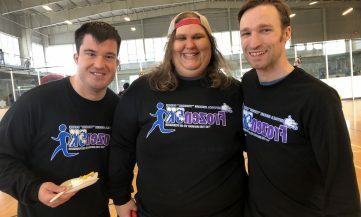 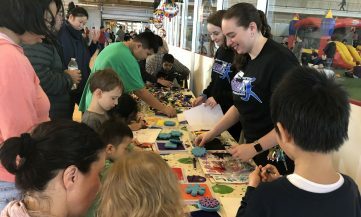 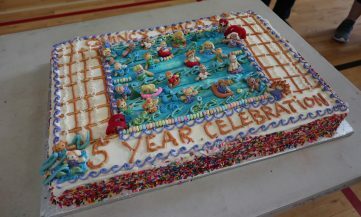 To commemorate the occasion, over 400 partygoers were treated to cake, bounce houses, arts and crafts, and a number of family fun activities for all to enjoy throughout the afternoon. 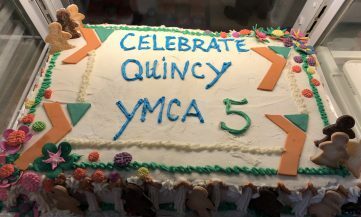 Since the new Quincy YMCA facility opened its doors 5 years ago, this vibrant center on Coddington Street has aided thousands of families, adults, teens and children to become their better selves. 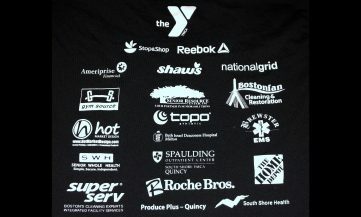 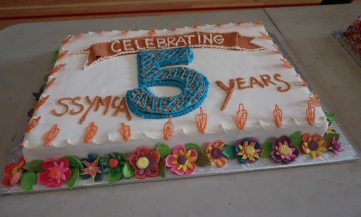 The South Shore YMCA staff, friends and family look forward to the next 5 years together and many more, as they continue to strengthen the foundations of our local community both in Quincy and across the greater South Shore so that everyone, regardless of age, income or background, has the opportunity to learn, grown and thrive.